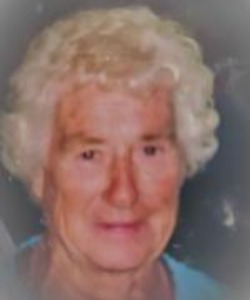 She is survived by two daughters, Ellen (Skip) Pipkorn, Colleen (Dan) Schian; three sons, Michael Kerrigan, Patrick (Lisa) Kerrigan, Kevin (Anita) Kerrigan; many grandchildren and great-grandchildren; and her special friend, Richard Moon. A visitation for family and friends will be on Sunday, February 17, 2019, from 2:00 to 4:00 p.m. at St. Mary Catholic Church 210 Pleasant Dr. Winneconne. A memorial service will be held on Sunday, February 17 at 4:00 p.m. at the church with Sr. Pam Biehl officiating. A memorial will be established in Barbara's name for Fr. Carr's Place2B. The family wishes to thank all of the special caregivers for their assistance with helping and caring for Barbara. To Skip and Ellen, and Family: We're very very saddened to hear about your Mom's passing. Barb was a very sweet Lady and always, always had a kind word for everybody. Cathy and I will keep your entire Family in our prayers. I am so very sorry to hear about Barb. Lots of good memories of her and all of us from way back. Take care all of you! So sorry for your loss. I know your mom was so special to you and you will always cherish the special times you had together. May she rest in peace.